Now, some of you might remember me talking about some product review. Today is the time for that. So, a few weeks ago, I got some skincare products from my mom. I decided I would write about my experiences to you, in case some of you would be in need of new skincare products. 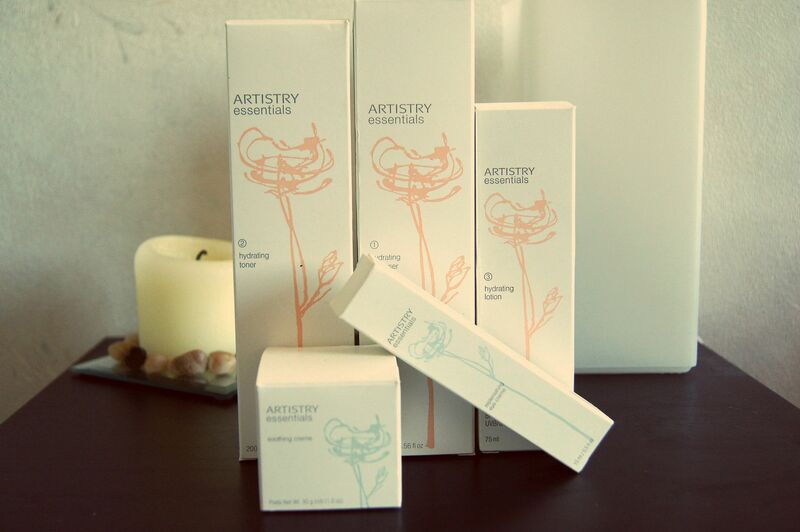 So, the products I've been testing for couple of weeks now are skincare products from Amway Artistry Essentials line. 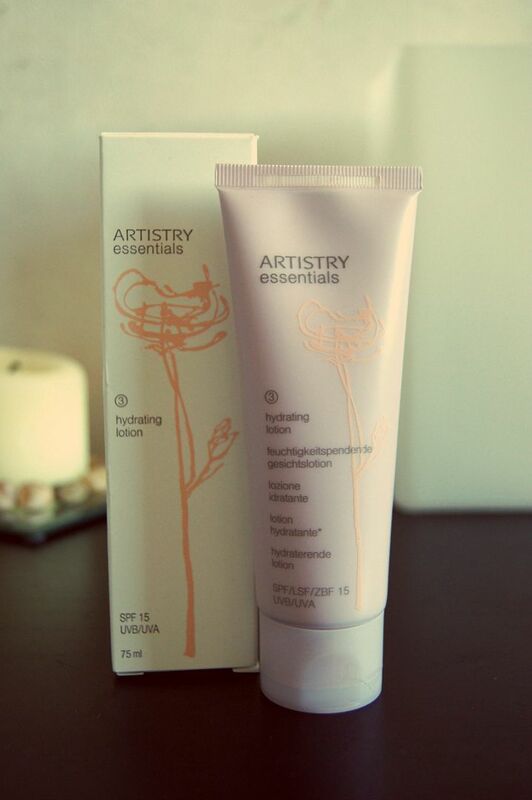 I have been using Hydrating Cleanser, Hydrating Toner, Hydrating Lotion, Soothing Creme, and Replenishing Eye Creme. 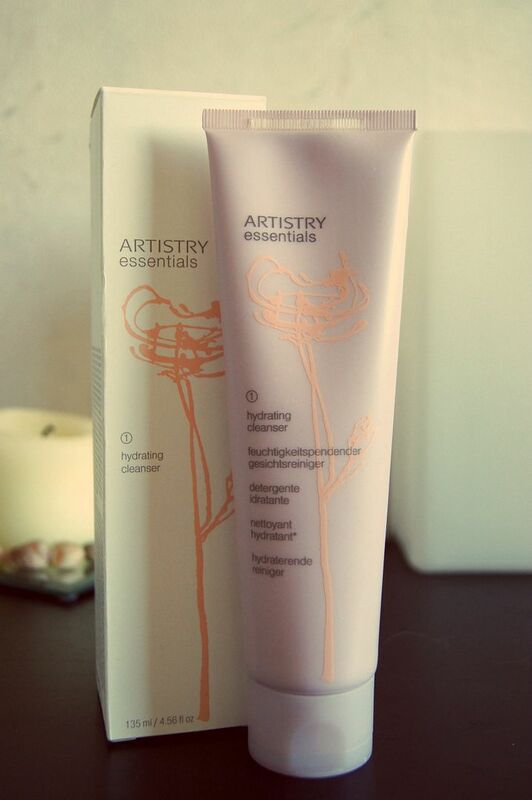 A mildly scented cleanser you massage gently to your face and either rinse or wipe off. I tried it both ways - of course being first skeptical about the wiping - and it really works both ways. It cleans the skin properly, and leaves it soft and healthy-looking, and you don't need a lot of it for a use. Also, even though I don't necessarily like the smell of basic skincare products, with this one it didn't bother me, but instead it was quite nice. I'd say this is a great cleanser, but you need to use other products as well to really moisturize your skin. This one is for after you've used something to cleanse your skin first. Every toner I've ever had has always smelled a bit like alcohol, but this one was a nice exception to that. Like the previous one, you don't need a lot for a one time of use - just add some to a cotton pad, and wipe your face and neck thoroughly. This doesn't even dry out the skin as much as this kind of products usually do, which to me is a big pro. 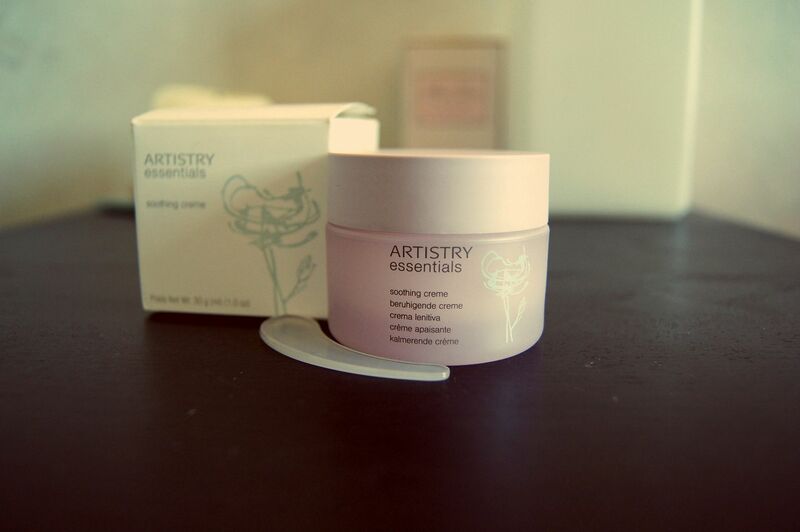 Very effective moisturizer for the skin of your face and neck area. This is for after your face is washed and toned. This product is mildly scented, and it leaves your skin moisturized for hours after applying. This lotion has SPF 15 UVB/UVA protection in it, which is a great con for any moisturizing lotion. My face stays pretty much moisturized until I take my makeup off the next day when I use this lotion. I really like the feel of this product of my skin, but I would say this on is a night product more or less - just because it feels so rich on the skin. But that pretty much depends how you like your products. This one can be used if your skin gets irritated by the toner - like mine tends to do because I have a sensitive skin. This is applied with the little curvy tool you can see on the picture, and then you use your fingers to kind of blend it. Personally I use this before the lotion, and then only apply the lotion if (and when) my face needs the extra moisturizing. The smell of this product is very, very mild, so I believe it is ideal for most of the users, as it doesn't add up the unnecessary amount of smells our cosmetic products have already. This really smooths the skin, keeping it moisturized at the same time. And the best part is that because you only need a super thin layer, it feels next to nothing on your skin. Apart for the nice moisture, of course. Now, I might be a tad neurotic about my eye area, but I believe everyone over twenty years old should have a light eye creme or such to prevent the early marks of aging. After all, most of us use eye makeup on daily basis, which is quite harsh on the sensitive skin around the eyes - not to even mention the makeup removers. So I decided it's time to invest on a proper eye creme. And I must say I've loved this. 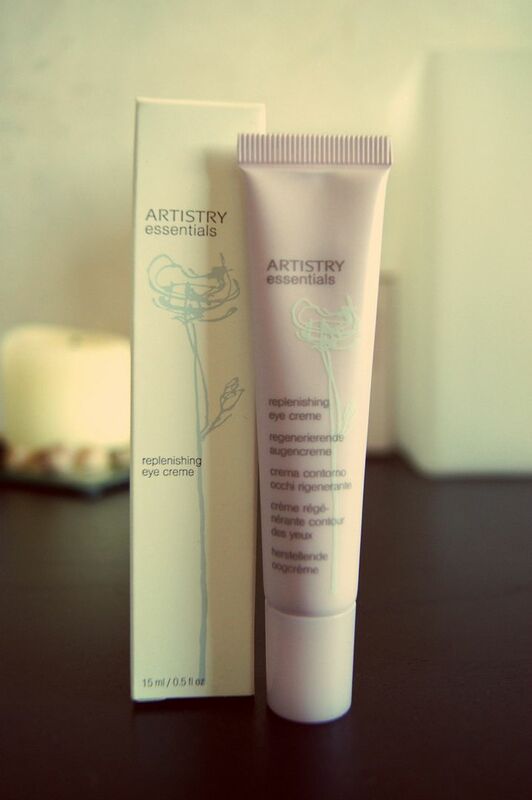 It helps me look not so tired in the mornings, and it moisturizes the eye area perfectly. You only need a drop you barely see to moisturize one around eye area, which is so amazing. This, like the others, doesn't have unnecessary scents a lot, and that's why I love it. Have you tried Amway products? What do you think about them? I know Amway products, but I never used them because here they are more then expensive! I loved to read your post about them! so glad they work and it's nice that they are unscented. i don't like scented facial products. my face just doesn't feel clean when they are. great review! My thoughts exactly. I'm allergic and oversensitive to so many things that I can't stand overly scented products. And I agree that with scented products, your face might not feel that clean. 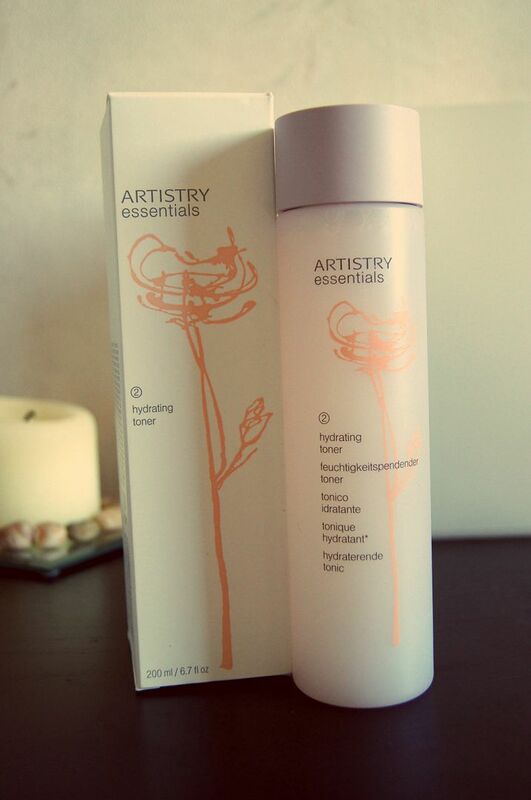 I have been using Amway and Artistry product for the past 5 years, and I really like that they do what they promise! I am glad you get the whole set! looks like great stuff, esp that they got no scent and you need very few drops for coverage!